Waste to Energy (WTE), is a term that is used to describe various technologies that convert non-recyclable waste into usable forms of energy including heat, fuels and electricity. WTE can occur through a number of processes such as incineration, gasification, pyrolysis, anaerobic digestion, and landfill gas recovery United States Environmental Protection Agency. (10 Jan. 2014). "Energy Recovery from Waste | Municipal Solid Waste.” Retrieved from <http://www.epa.gov/solidwaste/nonhaz/municipal/wte/index.htm>. United States Environmental Protection Agency. (10 Jan. 2014). "Energy Recovery from Waste | Municipal Solid Waste.” Retrieved from <http://www.epa.gov/solidwaste/nonhaz/municipal/wte/index.htm>. . 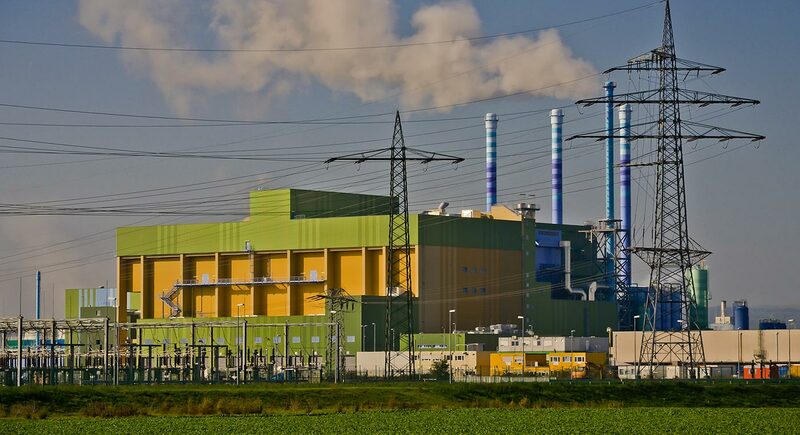 The term WTE is commonly used in specific reference to incineration which burns completely combusted waste at ultra-high temperatures allowing for energy recovery. Modern incineration facilities use pollution control equipment to prevent the release of emissions into the environment. Currently incineration is the only WTE technology that is economically viable and operationally feasible at commercial scale. Another example of WTE is anaerobic digestion (AD), an old but effective technology that biologically converts organic material into compost as well as biogas for energy Environmental Protection Agency. (April 2014). "Anaerobic Digestion." Retrieved from <http://www.epa.gov/wastes/conserve/foodwaste/fd-anaerobic.htm>. Environmental Protection Agency. (April 2014). "Anaerobic Digestion." Retrieved from <http://www.epa.gov/wastes/conserve/foodwaste/fd-anaerobic.htm>. . AD systems have large potential and can range from low to high tech, therefore they can service communities of all income levels. Another process, called pyrolysis, can thermo-chemically convert waste products into clean liquid fuels. Finally, landfill gas recovery refers to the process of capturing the gases emitted from municipal landfills and converting it for energy. The most common form of collection occurs by drilling horizontal or vertical wells into the landfill and uses blowers and vacuums to collect the gas for treatment. Currently, the world generates 1.3 billion tonnes of Municipal Solid Waste (MSW) annually. By 2025 the world could generate 2.2 billion tonnes of MSW per year. Such a prediction forces us to consider and develop alternatives for addressing our future waste management(WM) challenges Hoornweg, Daniel, and Perinaz Bhada-Tata. (March 2012). “World of Waste.” Urban Development Series, The World Bank. Retrieved from http://siteresources.worldbank.org/INTURBANDEVELOPMENT/Resources/336387-1334852610766/What_a_Waste2012_Final.pdf Hoornweg, Daniel, and Perinaz Bhada-Tata. (March 2012). “World of Waste.” Urban Development Series, The World Bank. Retrieved from http://siteresources.worldbank.org/INTURBANDEVELOPMENT/Resources/336387-1334852610766/What_a_Waste2012_Final.pdf . A part of the solution will be WTE technologies which will help facilitate sustainable WM programs by diverting waste from landfills for energy production. Unfortunately, WTE practices are underutilized and therefore the majority of the world still uses landfills as their primary disposal method. Landfills are an unsustainable use of land and pose environmental concerns including water and air quality issues. Perhaps the two most notable countries that have made significant contributions toward a sustainable WM infrastructure by incorporating WTE technologies are Sweden and Denmark. Sweden recycles over 99% of their MSW, 50.3% of all household waste is incinerated for energy recovery and 16% is used in AD AvFall Sverige. (2014). “Swedish Waste Management.” Retrieved from <http://www.avfallsverige.se/fileadmin/uploads/Rapporter/sah_2014_Eng_141001.pdf>. AvFall Sverige. (2014). “Swedish Waste Management.” Retrieved from <http://www.avfallsverige.se/fileadmin/uploads/Rapporter/sah_2014_Eng_141001.pdf>. . Similarly, Denmark has adopted the idea of “hedonistic sustainability” Ingels, Bjarke. (May 2011). “Hedonistic Sustainability.”Retrieved from: http://www.ted.com/talks/bjarke_ingels_hedonistic_sustainability Ingels, Bjarke. (May 2011). “Hedonistic Sustainability.”Retrieved from: http://www.ted.com/talks/bjarke_ingels_hedonistic_sustainability wherein the infrastructure that contributes to the establishment of an environmentally and socially responsible society becomes a dynamic and usable public space. As an example, Copenhagen’s latest projects includes an incinerator that also functions as a ski slope and a WTE education center for its citizens. Only 3% of Copenhagen’s trash goes to landfills. 54% is used in incinerators to create heat and electricity. 97% of all city residents receive their energy as excess heat produced by their waste incinerators C40 Cities. (3 Nov. 2011). ”98% of Copenhagen City Heating Supplied by Waste Heat." Retrieved from <http://c40.org/case_studies/98-of-copenhagen-city-heating-supplied-by-waste-heat>. C40 Cities. (3 Nov. 2011). ”98% of Copenhagen City Heating Supplied by Waste Heat." Retrieved from <http://c40.org/case_studies/98-of-copenhagen-city-heating-supplied-by-waste-heat>. . The most significant challenge to WTE technology adoption is the awareness that waste can be used as a source of clean and reliable energy. ^ United States Environmental Protection Agency. (10 Jan. 2014). "Energy Recovery from Waste | Municipal Solid Waste.” Retrieved from <http://www.epa.gov/solidwaste/nonhaz/municipal/wte/index.htm>. ^ Environmental Protection Agency. (April 2014). "Anaerobic Digestion." Retrieved from <http://www.epa.gov/wastes/conserve/foodwaste/fd-anaerobic.htm>. ^ AvFall Sverige. (2014). “Swedish Waste Management.” Retrieved from <http://www.avfallsverige.se/fileadmin/uploads/Rapporter/sah_2014_Eng_141001.pdf>. ^ C40 Cities. (3 Nov. 2011). ”98% of Copenhagen City Heating Supplied by Waste Heat." Retrieved from <http://c40.org/case_studies/98-of-copenhagen-city-heating-supplied-by-waste-heat>. Sorry, we do not yet have a video specifically for Waste to Energy. We are adding new videos to StudentEnergy.org weekly, but in the meantime check out this video on Biomass.